. Published on September 4, 2018 . Owning a dog is one of life’s greatest joys. 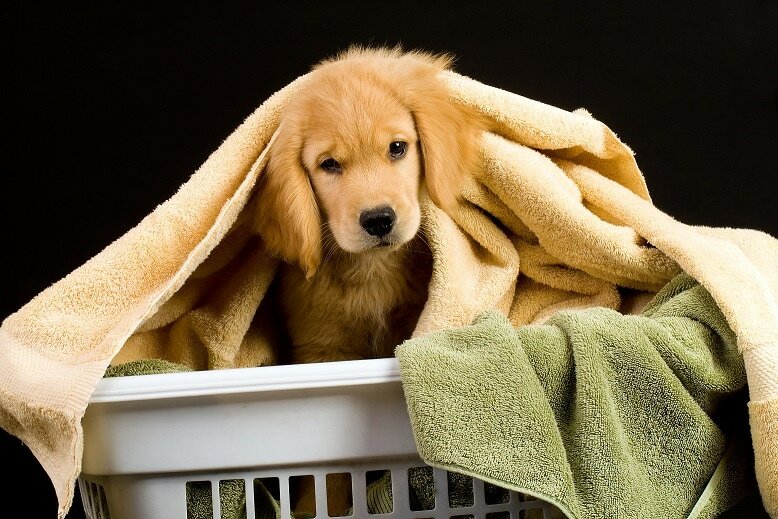 Their loyalty, charisma, and unconditional love are what make them so special, and it’s why we’ve given them the title of, “man’s best friend.” But you’ll no doubt find yourself wondering how to wash blankets with dog hair at some point! Being a pet owner isn’t all fun and games, it’s a responsibility that comes with the need for discipline, and yes, even chores. And since most dogs shed, one of those chores will inevitably be to clean their hair from your clothing, floors, and bedding. But what’s the best way to wash blankets with dog hair so that your washer doesn’t break down? Let’s take a look! When You Wash Blankets with Dog Hair, Will It Clog Washing Machine? When our appliance repair technicians are out in the field, one of the more common questions our customers ask is, “Will pet hair ruin washer?” The answer is no, it won’t destroy your washing machine, but it can definitely cause damage over time. That damage can lead to a breakdown and repair that could have otherwise been avoided. Pet hair is troublesome enough to remove from rugs, blankets, and clothing when they’re dry, but add water to the mix, and it can become a near impossible task. That’s why it’s important to understand what the hair is doing to your machine, how to prevent it from happening, and what products are available to assist you in keeping your laundry hair-free. What Does Pet Hair Do to Your Washer? If you’re like most dog owners, you might have wondered, “When I wash blankets with dog hair, where does all the hair go?” Modern appliances are incredibly advanced, but they’re not magical and contrary to our wishes the hair doesn’t just disappear. So where’s it all going? Look no further than your washer’s drain pump. This component is what drains all of the water out of your unit after you run a cycle, and it has a built-in filter to prevent any debris from damaging your home’s plumbing or the pump itself. If you’ve owned your washer for a while, we recommend that you clean out your drain pump filter immediately to avoid an unnecessary repair down the road. See the “how to” video below for step-by-step instructions. The simplest way to solve most problems in life is to prevent them from happening to begin with, and keeping pet hair out of your washing machine is no different. Why go to the trouble of having to constantly clean out the gunk from your washer’s pump filter when you can quickly and easily remove the hair before it goes into the wash? Before you wash blankets with dog hair, try using a lint roller or even a piece of tape to pull off any visible fur from the fabric. Static electricity can also be a useful tool. Some people choose the more festive route and use an inflated balloon to rub across the cloth, letting the static pull the hair right off. The best method though is to use your dryer to preemptively remove the hair before washing. Dryers have an easily-removable lint filter, so before you run a wash load, put your items into the dryer on tumble with no heat for about 10 minutes. This will pull most of the hair off and trap it in the lint filter, which should be cleaned off after the cycle is completed. And for a one-two punch, add a dryer sheet into the mix so that the static can pull the hair off even more efficiently. We love tools and gadgets where you can just press a button or turn a knob and walk away while the hard work gets done for you. 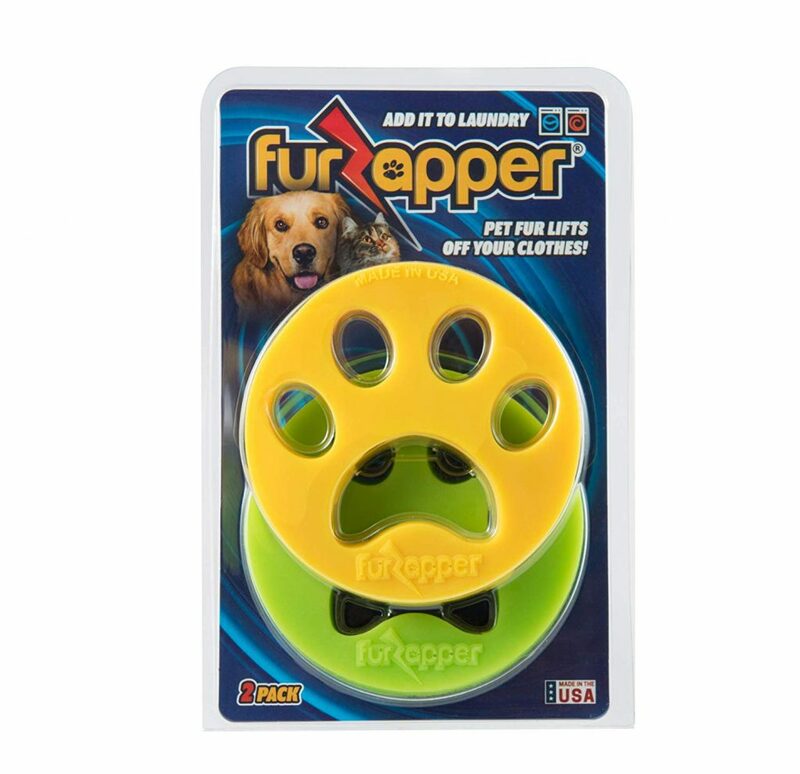 If you’re anything like us, be sure to check out the FurZapper pet hair removal tool. 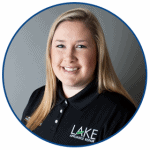 All you have to do is throw one of the discs into your washer with a load of laundry, and the loose hair will stick straight to it for easy removal once the cycle is complete. Searching for a pet hair removal tool that can be used not only on blankets and clothing but on any surface? Look no further than the Pledge Fabric Sweeper for Pet Hair! This amazingly convenient product is designed to roll across clothing, furniture, floors and more with ease while picking up and trapping loose hair within the handle. Cleanup is easy and the sweeper itself will last a lifetime!